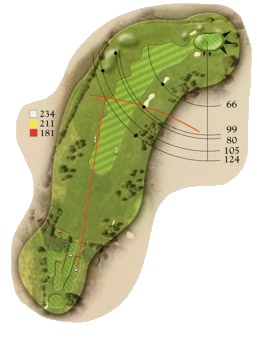 A slight dogleg right, big hitters can go for the green if the wind is favourable. Two fairway bunkers down the right catch the pushed tee shot whilst a slice will place you in the fir trees. Usually only a pitch is required to the raised green which has a deep bunker at the front right. A pulled approach may find the ditch along the left, beyond which is OOB. 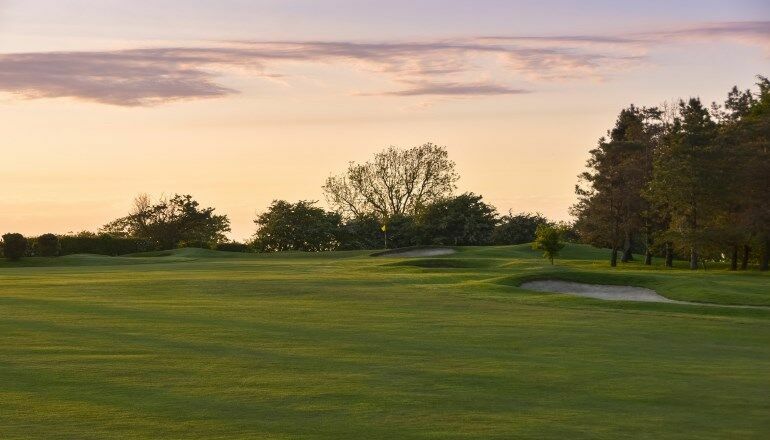 One of our highest greens, the surface is often a little harder and faster, so hit the approach a little to long and over the back the ball will run down the bank with bushes and trees awaiting.